With Melbourne’s disgustingly long bout of wild and wet weather this winter my mind has turned to winter apparel and in particular the need for dry feet. 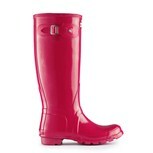 I don’t spend much time tramping through mud (except in our front yard which is nothing more than a ditch at the moment) but I have developed a slavering hunger for a pair of Hunter wellies. They had a bit of a trend revival a few years ago, via Sloane Streetand into urban warrior territory, but I am a sucker for traditional brands that embrace a bit of modern attention and ride hell for leather into fashionability (compare Burberry’s success, chavness aside, to the recent collapse of Aquascutum). Surely my future maternity leave will include long walks o’er hill and dale, or at least taking the dogs to the park, which necessitates appropriate footwear? 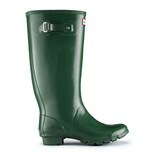 The quintessential: the Original Tall style in a classic forest green. 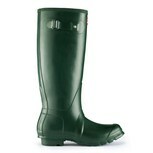 Launched in 1956, the Original has become THE iconic wellington boot, and is recognised the world over. Each pair is handmade from 28-parts to ensure the best fit possible and given a classic design of British sensibility. Original Gloss – 85 pounds. 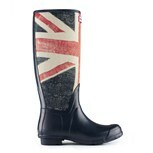 Fancy a bit of patriotism? … and here in the almost-as-classic metallic! 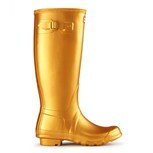 These would be incredibly awesome wedding shoes for a farm wedding. 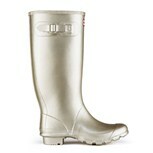 A slimmer fit, for those of us (or more accurately, those of you) with twig-like calves, is the Regent. 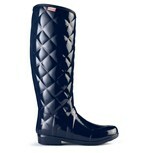 Based on a classic equestrian last, the Regent collection symbolises fashion, style and comfort. Providing a flattering silhouette with a slim-fit and sleek upper, the Regent collection includes both functional and fashion styles. Regent St James Tweed – 125 pounds. 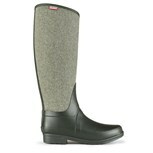 Tweed for extra warmth, but perhaps less useful in the mud. 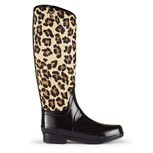 Or leopardskin for extra pizzazz! But I am sorely tempted by these Chanel-esque ballet slippers! So can I justify the price? 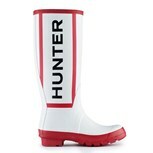 Would I actually wear them? Is it slightly ridiculous for an avowed urbanite to wear them to the shops? I think the answers are no, no and yes … but I make no promises!